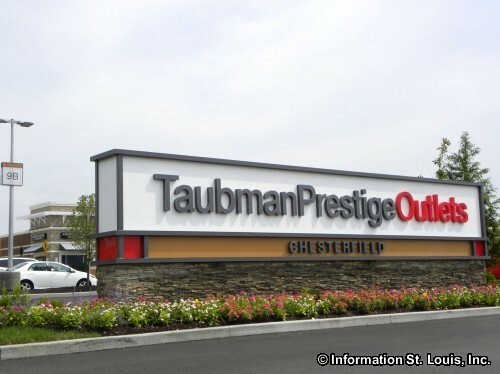 The Taubman Prestige Outlet Mall is located in Chesterfield Missouri, just off of Interstate 64/40 via Boone's Crossing, on the north side along the outer road. 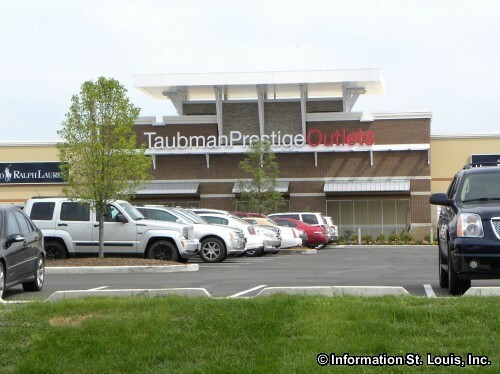 This open air mall held its grand opening in early August of 2013 and features 48 outlet stores. Some of the outlets that are found in the mall are Abercrombie & Fitch Outlet, Famous Footwear Outlet, Restoration Hardware, Brooks Brothers Factory Store, Lucky Brand Outlet, Polo Ralph Lauren Factory Store, J. Crew Factory, Wacoal, Gap Factory Store and more. Auntie Ann's Pretzels and other soon to be opened restaurants are available for shoppers to get a bite to eat without leaving the mall!